Whatever your wedding setting, we can offer a wide choice of stunning venues to suit your particular budget, wedding style and catering requirements. 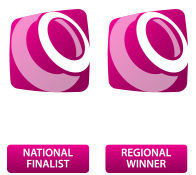 We organise and oversee as many of the practical arrangements at your chosen venue as you wish. We start preparations with a complimentary consultation to discuss your style, and how you envisage your perfect wedding day. After fine-tuning ideas, we provide you with a detailed plan of how we will transform your dreams into reality. If you would like the background to your dream ceremony to be an elegant Italian castle, the glitter of Las Vegas or maybe the warm fragrance of a tropical beach, our destination weddings are tailor made for you. The possibilities are endless, as we have wide experience of creating beautiful weddings at many international locations. On the day of your wedding, we are on hand from first thing in the morning to handle last-minute phone calls and any other eventuality, while you relax with a glass of Champagne and your hairdresser! We oversee the setting up of the venue, then stay discreetly in the background and gently direct the entire experience. As well as planning exceptional weddings, we also bring originality and flair to any other celebration you may have in mind. We organise stag and hen parties, birthdays, anniversaries, christenings, baby showers, retirement parties and corporate events that will delight and impress your guests. Whether you are looking for a chic and stylish city event, a luxury marquee on a country estate or an exotic beach paradise, we have the special vision and expertise to realise your dream.